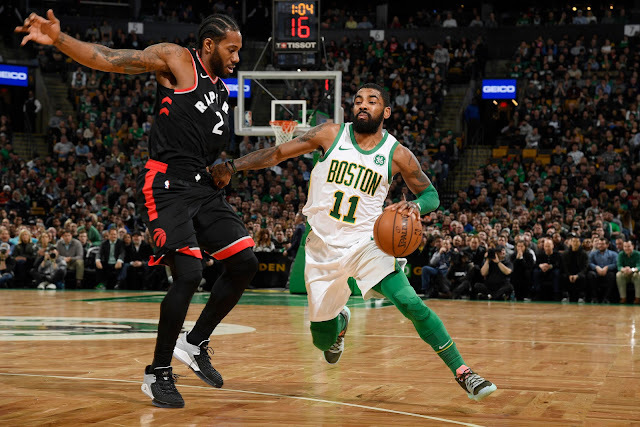 Boston Celtics star guard Kyrie Irving has been named an Eastern Conference starter in the 2019 NBA All-Star Game. He joins a backcourt with the Charlotte Hornets' Kemba Walker, along with a frontcourt of Giannis Antetokounmpo of the Milwaukee Bucks, the Toronto Raptors' Kawhi Leonard, and the Philadelphia 76ers' Joel Embiid. Giannis won the honors for East captaincy; check back soon for more information on the numbers and All-Star reserves.